Faster and more intuitive AdWords that’s focused on helping reach our business goals. 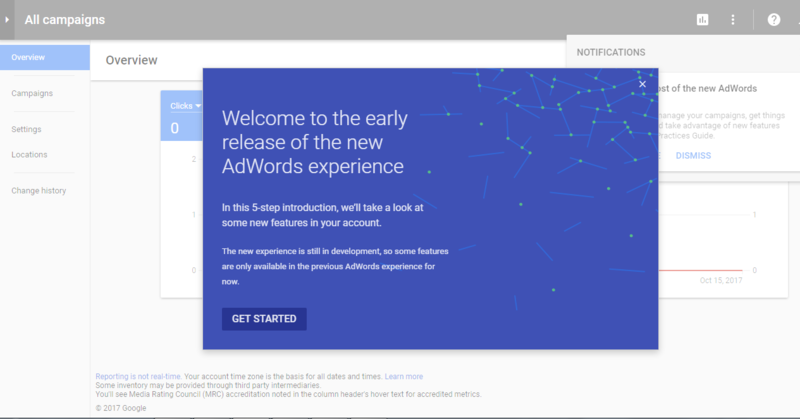 Starting today Wednesday, October 11, 2017, the new AdWords experience is available to all advertisers. First, you’ll notice that your account pages load faster—on average, 20% faster—so we can quickly get to the information. Features like “call bid adjustment” and the “Landing Pages” page come exclusively with the new AdWords experience. AdWords should make it easy to achieve your business goals. The data you care about should be available at your fingertips. And the tools you use to get things done should be simple yet powerful. The new AdWords experience has been designed to check all of these boxes. This guide helps you get the most out of the new experience. Visit for more AdWords Help Center has been updated with all the latest features.